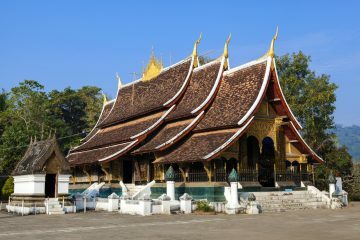 The tour is starting and finishing in the magical UNESCO World Heritage town of Luang Prabang. You will have chance to discover the stunning scenery and friendly local villages. 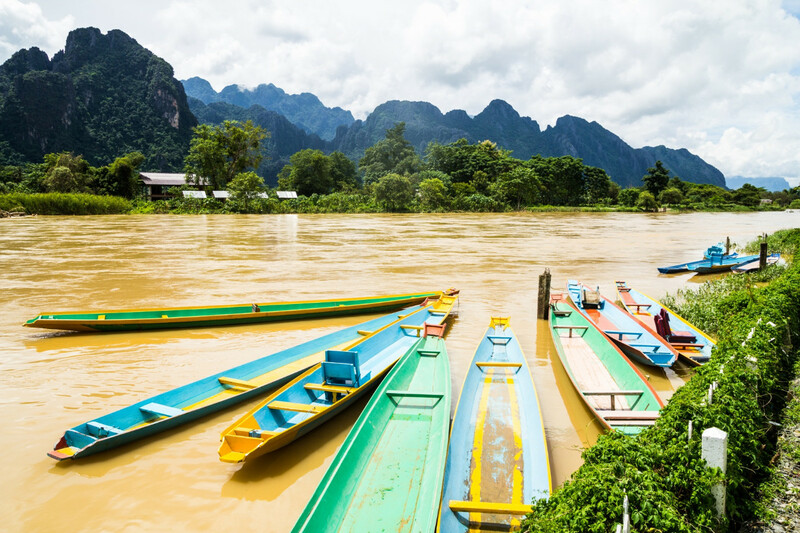 Ride in a long-tail boat through the rugged, mountainous Nam Ou River valley, marvel at jungle waterfalls, explore the beautiful villages of Nong Khiaw and Muang Ngoi. Visit the “100 waterfalls” on an exclusive visit in Nong Khiaw, take in beautiful landscapes and trek to remote areas. 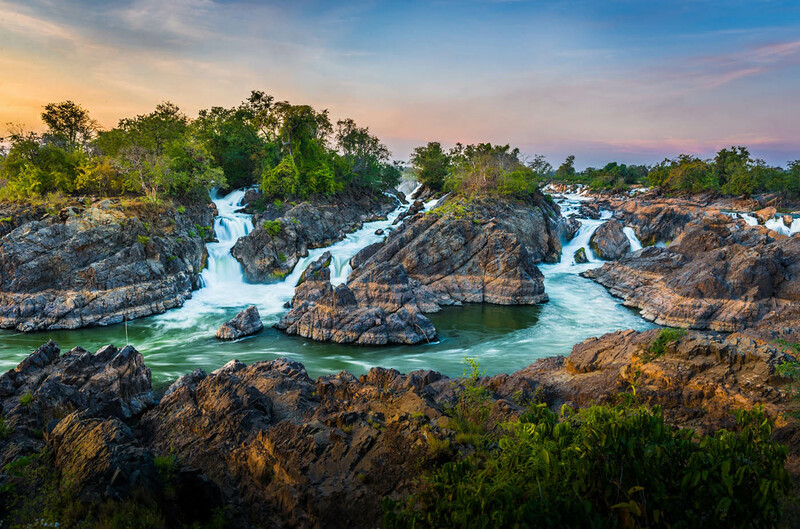 Encounter the locals and enjoy an enriching cultural experience with home stays and genuine Laotian food and witness local daily life on the shores of the Nam Ou River. En route back to the city you stop at the mysterious pilgrimage site of Pak Ou Caves before arriving in the heart of Luang Prabang. Northern Laos Trekking & Homestays includes accommodation in hotel/homestay with an expert guide, excellent activities, local meals, transport and many more. On arrival at the Luang Prabang’s International airport, you will be met and transferred to check in the hotel. The rest of the day is at your own leisure before starting the fantastic journey on the following days. After breakfast at hotel, your city tour by bike begins visiting the Royal Palace Museum, which hosts a range of interesting artifacts. 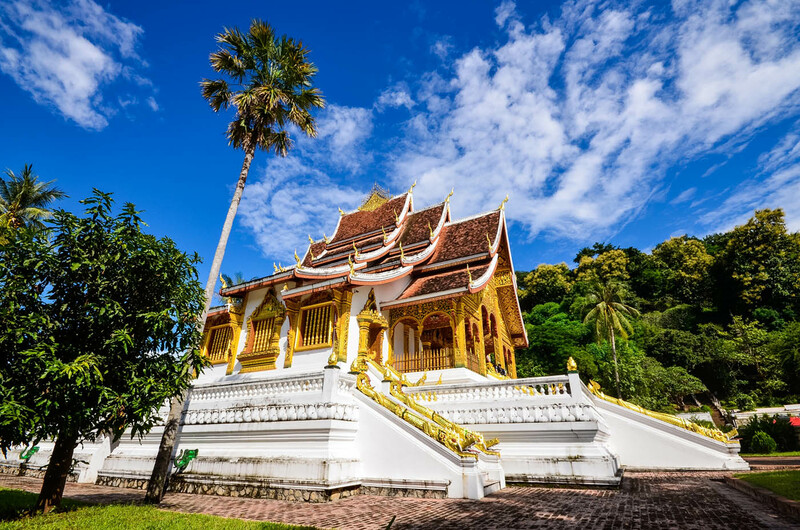 Your next stop in the city is the magnificent Wat Xiengthong with its roofs sweeping low to the ground, which represents classical Laotian architecture. 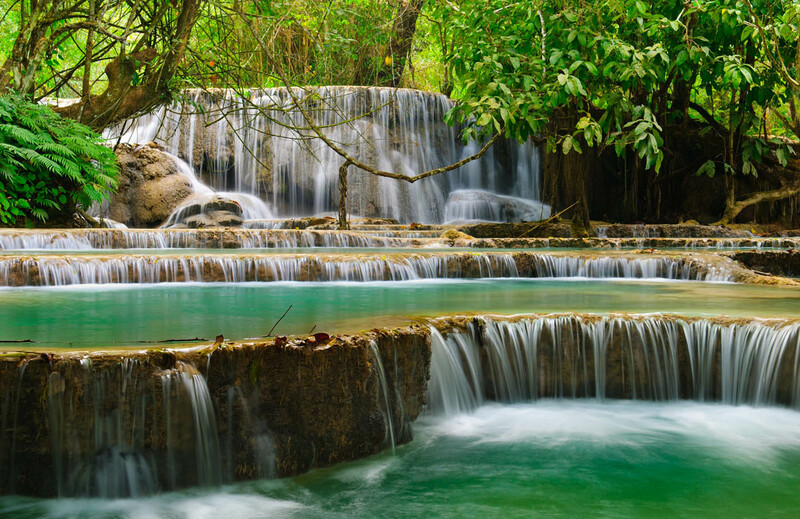 You then cycle to the beautiful Kuang Si waterfalls which is the biggest in the Luang Prabang area with three tiers leading to a 50-metre drop into spectacular azure pools before flowing downstream. The pools also make great swimming holes and are very popular with both tYourists and locals. You have the rest of the afternoon to refresh with the cool clear water, or hiking to the top of the waterfalls. If you wish, you will also take a short visit to the Bear Rescue Center, which houses a couple of dozen animals rescued from the hands of poachers and traffickers. 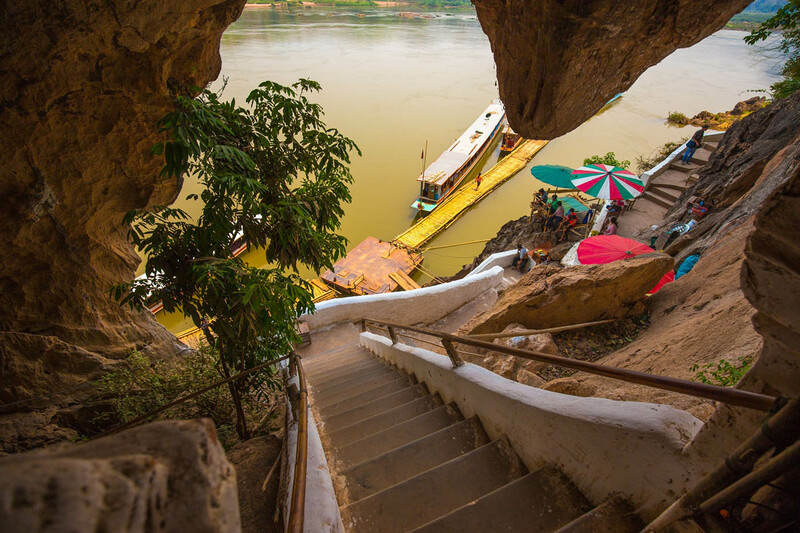 Arriving in Luang Prabang, you ascend the 329 steps to the top of Phousi Hill for a beautiful sunset view of the city and its glowing reflection on the Mekong River. Starting the third day by getting up as the sun rises, you will prepare to join the most sacred tradition of Laos, the daily morning alms giving, which dates to the 14th century. 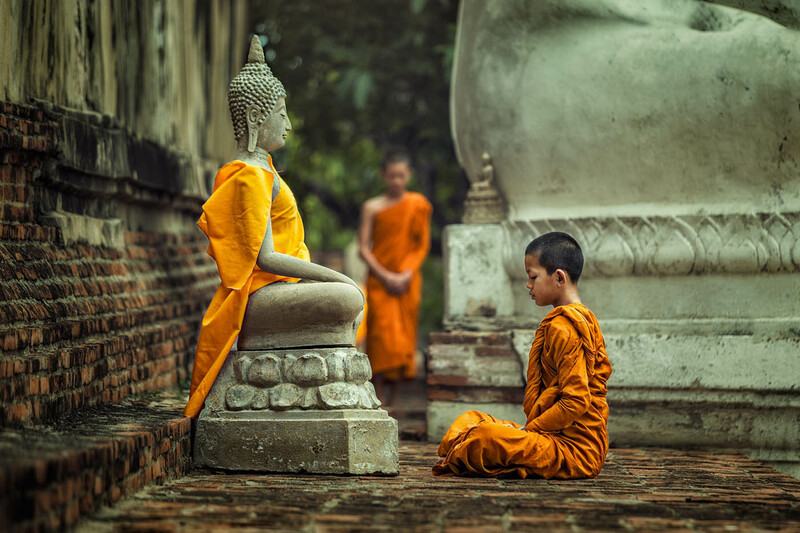 Every morning, there will be more than 200 Buddhist monks depart from various temples to gather their daily meal from the faithful residents sitting quietly on the streets. 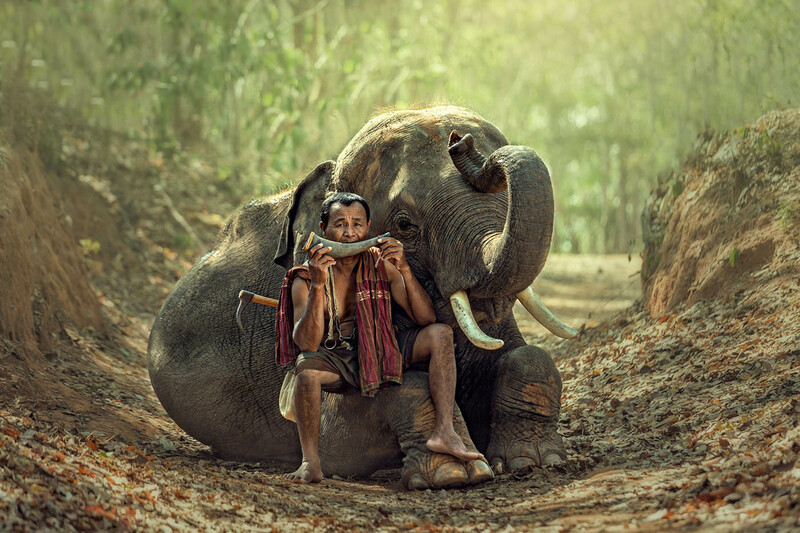 Enjoy breakfast at the hotel after, your car and guide will take you to Elephant Village. The Camp Manager will welcome you upon arrival and participate in short briefing. After enjoying the impressive experience of approx. 30-minute elephant ride on the neck; you will then take a return boat trip to the Tad Sae Waterfall and spend some time in the clear water. You will enjoy the lunch at the Elephant Village Restaurant (Buffet lunch served with Coffee or Tea and drinking water). After lunch you will transfer to Ban Pick Noi, where our guide will give you a short safety briefing and introduction to kayaking before heading off down the river. Continue onwards you reach a small section of light but fun rapids before arriving at the tomb of the 19th century French explorer ‘Henri Mouhot’ who was the first European to discover Luang Prabang! 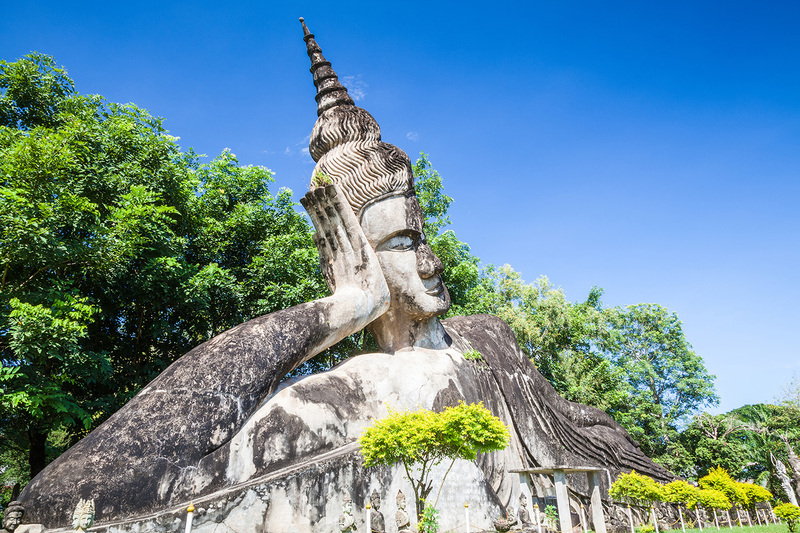 Here you will take some time to look around this fascinating site before transferring back to Luang Prabang. If time allows for it a last optional stop on the way back to Luang Prabang can be made at a traditional weaving village of Ban Phanom. Breakfast at the lodge then board on a traditional Long River boat at Kamu Lodge pier at 08:30 am and take a leisurely cruise upstream while enjoying the refreshments served on the boat. You will marvel at the thousands of gold Buddha statues placed in sacred Pak Ou caves by devotees. Most people failed to overwhelmed by Pak Ou towering limestone cliff. Upriver onward and you would reach Kamu Lodge around noon. A Refreshing welcome drink is served. You will check into your super-size tents with attached modern bathroom amenities and facilities. You will enjoy lunch in an airy SALA settled in the middle of rice paddy fields. Lunch at the lodge then you may like to choose either to relax or to enjoy the traditional Kamu lifestyles and activities such as rice planting and harvesting in surrounding rice fields, gold panning in the Mekong Delta (anything you find is belong to You), traditional fishing techniques (you can sample your catch for dinner! ), visit of the Kamu village, archery contest. Dinner is a feast by Kamu tribe standards. Here you can to see the world from the Kamu’s eyes. You will check out the lodge right after the breakfast around 09:00 AM the following morning. You then board on the long-tail boat again to Pakbeng, a small village located on the Mekong River. Along the way, we will stop at Ban Baw, which is famous for its traditional hand weaving. Arriving in Pakbeng at around mid-afternoon, you will check in your hotel before take an orientation walk around the town. Today, you will take an early risers visit the morning market where residents of the nearby villages and hill tribes gather to buy and exchange their goods. Leaving for Luang Nam Tha to observe the local rural life, local markets on the side of the road, clear views on corn and banana plantations and amazing views over the mountains. You will pass through the provincial capital, Oudomxay. It once was a very sleepy town, this has become an important trading hub and shows the changes which are happening rapidly in the region. This makes the final leg of the tour, far from the busy town and in to unspoiled nature, all the more exciting. The discrepancy also highlights just how special the experiences are in the remaining wilderness. Arrival in Luang Namtha, transfer to Muang Sing. Breakfast at hotel then check-out before leaving Muang Sing at 8:00 AM or from Luang Namtha 7:00 AM by 4-wheel drive to Ban Mom (Tai Lue village), Buag Yha Say Mai (Akha village), traditional lunch will stop eaten on the way. Next start walking from Ban Bohae (Akha village) to Ban Xay (Tai Lue village) the village located on the bank of Mekong River where we stay overnight for the first day. You will arrival the village around 17:00. You may like to walk on the bank of the Mekong River to see beautiful sunset while waiting for dinner, visit people back from working, talk with the villagers to get new experience, learn about their culture, traditional and you will see style of leaving with the neighboring country such as Thailand, Myanmar. After dinner at homestay, you will receive a massage which is traditionally given to the guests stay overnight in the village. This morning you will get experience of Tai Lue daily lifestyle. After breakfast, 9:00 AM start walk up to Lung Pha (Akha village) about two hours, spend the time about 20 minutes to visit the village and talking with the local people. Then walk up to the mountain visit Ban Eula (Akha village), lunch will be provided on the trail. After lunch two hours walking visit Ban Lo Ku (Akha village) where you stay overnight, they are Akha Jeejor, also to see Akha lifestyle and Akha massage. You will get experience of Akha daily lifestyle in the morning. After breakfast, depart for Ban Khor Phen (Akha village), Ban Pa Xang (Akha village) visit them, playing with the children, how their way of life, enjoy the stunning views on the surrounding mountains and final take the Four Wheel Drives back to Muang Sing or Luang Namtha. 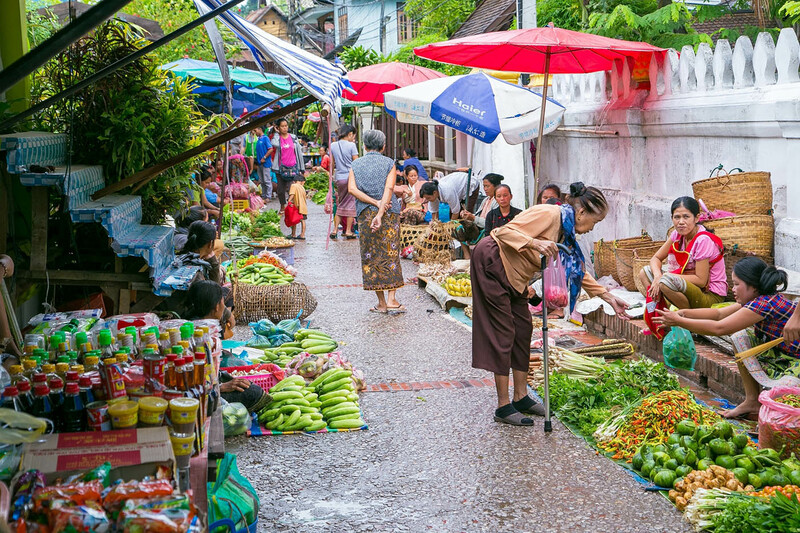 The local market is also attracting numerous ethnic minorities who converge from the surrounding mountainsides or valley to barter and trade their goods. 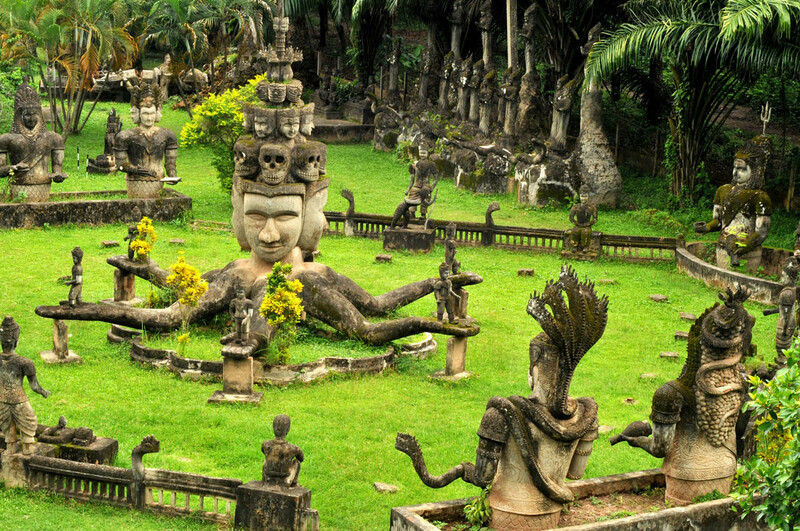 You then transfer directly to Oudomxay, which is residence to a mixture of 23 ethnic minority groups. You will make a few rest stops along the way, which gives you the opportunity to see the ethnic minority groups. Upon arrival in Oudomxay, you will transfer directly to Namkat Yola Pa Resort, which locates 30Km from Oudomxay center. The resort is famous for its pure natural surround with the thick jungle, and especially the amazing Namkat Waterfalls. Check in the hotel before starting exploring the Namkat waterfalls. During the 1 hour walk through the thick jungle, flying bridge, and small jungle trail, all you hear and sense is just the sound, and aroha of nature. You have ample time to refresh at the waterfalls before walking back to the entrance by a different way. Breakfast at hotel then continue your drive to Phongsaly. The road is in good condition and at mountains’ slope. You will see beautiful landscapes, banana plantations, local rural life in the villages that bordes the road and panoramic views over the surrounding mountains. You can ask your guide to stop whenever you want to take pictures on the way. You will arrive in the town of Phongsaly late afternoon. The charm of the town is made by the narrow paved streets borded by traditional Chinese houses in wood. 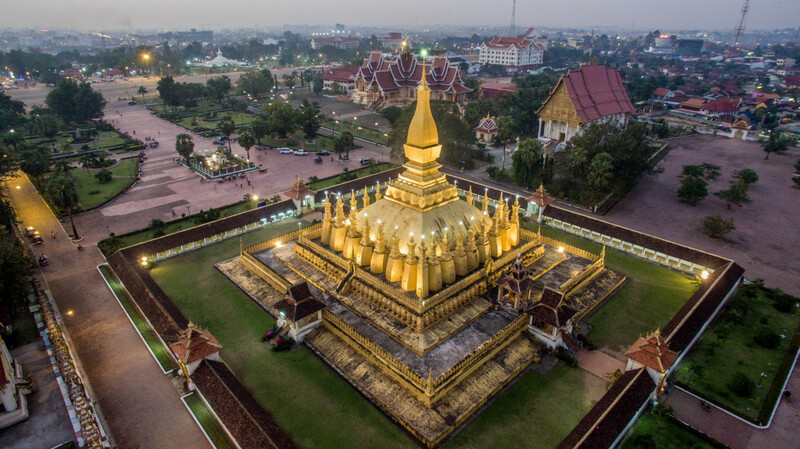 Your guide will explain you more about the history and culture of this multicultural city and the harmony that reigns between Lao people and Chinese immigrants. 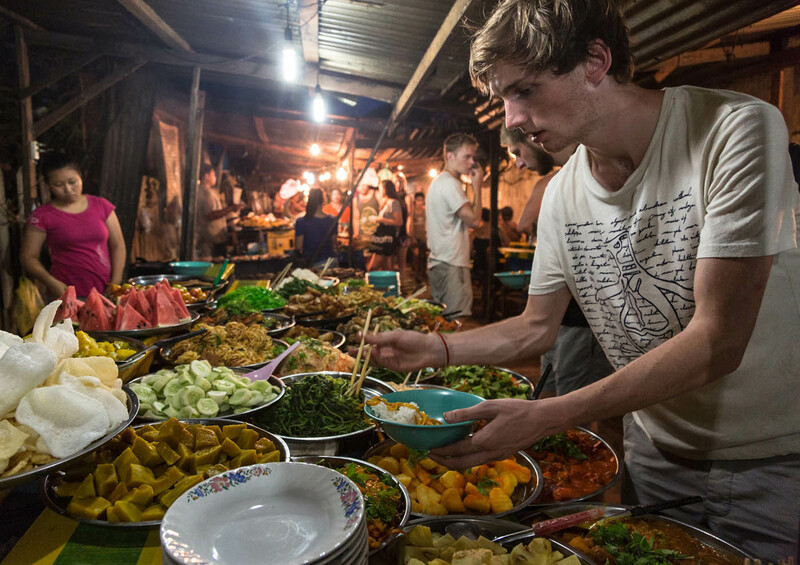 Breakfast at hotel then depart Phongsaly for BounTai by Your private car, on the way you will stop at Ban Yor to see local people selling fresh fruits and vegetable, you then drive on the dusty road and reach Bountai for lunch. You then drive forward to Samphanxay region, on the way you have a chance to visit multi-minorities such as: Mouchee, Cherpia, Erpa, Poulee, Hor, and Phounoy tribes. Today you spend overnight with a family at Sen-in village belong to Phounoy tribe). After breakfast with local food at homestay, you drive ahead to visit Oma tribe villages, on the way you will see wonderful landscape of the area. Today you will see several tribe villages: Oma, Phounoy, Mouchee, Khmu tribe. You will stay overnight at Khmu tribe village. Enjoy the breakfast made by the skillfully women of Khmu tribe, you drive ahead to visit two Phouxang tribe villages and then we drive slow down to Nam Ou river, we board the organized boat downstream to Mouangkhoua. On the way you have chance to visit several tribe villages: Khmu, Laoloum and mixed tribes village. You will arrive at Mouangkhoua in the late afternoon. Breakfast at homestay then you may spend an hour to visit the old bamboo bridge that connecting the town and the beautiful H’Mong village of Ban Natoun. 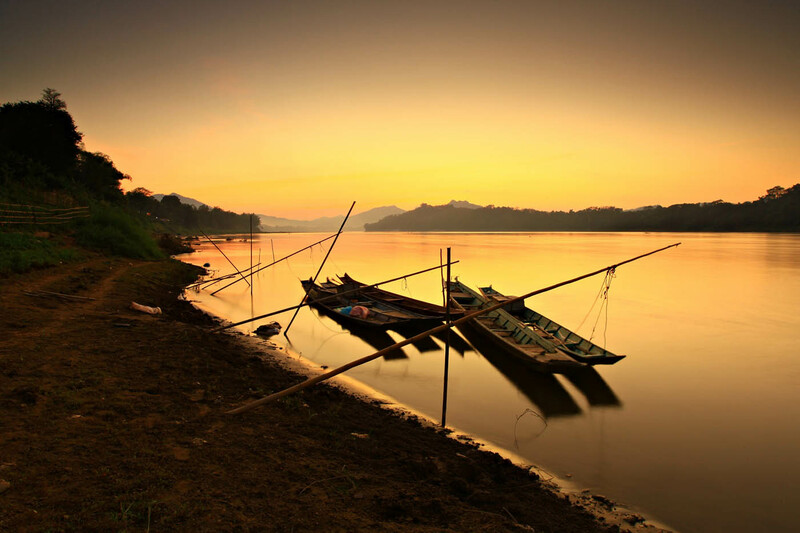 Afterward, you will board on a long-tail boat downstream the Nam Ou River exploring one of the most authentic region of the country. The picnic lunch will be served at one of the sandy beach along the river bank. You will arrive at the Khmu village of Ban Sopchem mid-afternoon; you have ample time to stroll around the village to get familiar with the local villagers before joining the Baci Ceremony. Overnight at Ban Sop Chem. Breakfast after, time to explore the village. The village children rarely receive the opportunity to interact and play with Westerners. Lunch in a local restaurant in Ban Na with the beautiful surrounding landscape. Afternoon continues walking to Ban Bor a tribe montagnard and even the activity of the villagers, play with the children and visit a small local school first. Then, return to Moung Ngoi and wander through the peaceful village and relax in a river-side restaurant, drink the fresh drinks while admiring the beautiful karst landscape sit in your bungalow. Your guide will accompany you for the walk in the peaceful village, see the rural life. Free time to rest and admire the beauty of the karst landscape reminiscent of Halong Bai land. You may like to stroll around the village to explore the local life for a while after the local breakfast. You then take the cruise downstream to the nearby village. Here you will take some time to look around and if during a weekday pay the local school a visit to see the charming children as they take part in their classes. You continue onwards to Tad Mork which is located close to the ethnic Khmu village of Ban Sop Kong, an hour trek from the river. You will have time to swim under the cool water of waterfall and enjoy a picnic lunch close by. In the afternoon, you continue the cruise to Ban Sopvan, which is home to the Tai Lue people. The village is located right next to the river, opposite the village on the river bank is a farm which is home to many different types of animal including Pigs, Chickens, Ducks, and Buffalo. You pay them a visit so it is worthwhile bringing some food along if you would like to feed them and surely very appreciated by both the animals and the villagers. The last part of today cruise is 30 minutes’ cruise down to Nong Khiaw. You will arrive in Nong Khiaw by around 5:00pm just in time before darkness descends. Breakfast at homestay then transfer back to Luang Prabang. After about 20-minute drive, you will take a right turn at Ban Bom onto the dirt road to Ban Na Yang (12km from the main road), which is the Thai Lue minority village. This is the very unique village with the traditional house and hand-weaving technique. On Arrival in Luang Prabang, you are free before transferring to airport to take the departure flight. End the services.